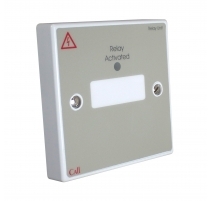 A discreet monitoring module that allows any device with a normally open or normally closed switch to generate a Standard call on an 800 Series Call System. Measures just 25 x 20 x 15mm - ideal for locating inside or alongside the monitored device. 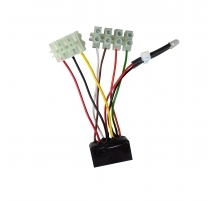 Can be connected to panic buttons, door bells, radio receiver transmitter pairs, ultra-sonic receiver transmitter pairs, etc. Requires a separate reset point. Mounts using a self-adhesive pad (supplied). 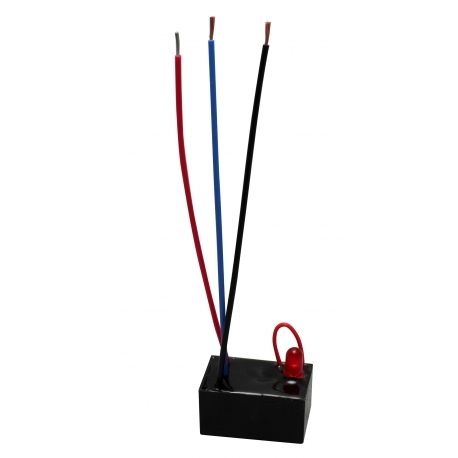 Controls Link wire - keep intact for normally closed operation; cut for normally open operation. 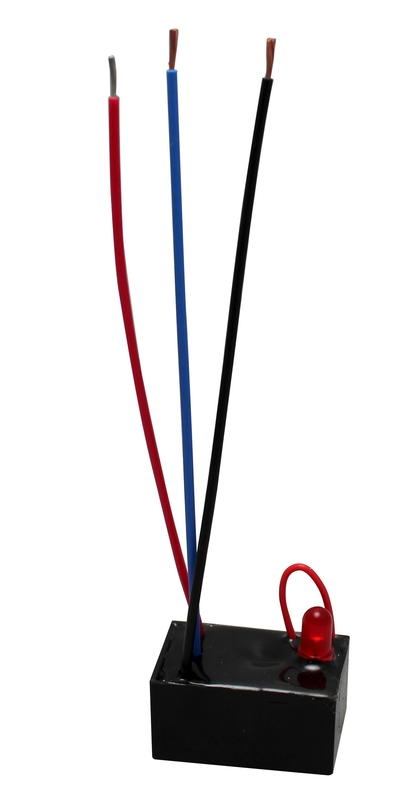 Connections Black -Ve wire; Red Signal wire; Blue Trigger wire. Product dimensions (mm) 30 W x 25 H x 20 D mm. Approximate length of each flying lead is 102mm. Notes Requires a separate reset facility. Product dimensions: 25 W x 20 H x 15 D mm. Supplied with a self-adhesive mounting pad.